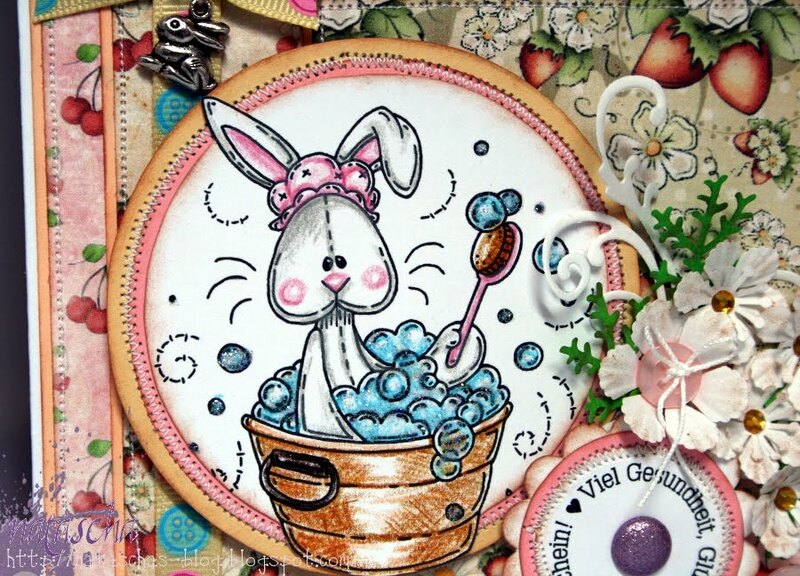 Auf dieser süßen Karte habe ich einen Meljens Design Digi-Stempel verwendet und drei verschiede Digi-Papiere von Bearly Mine Design mit dem Namen "Delicious Delights". 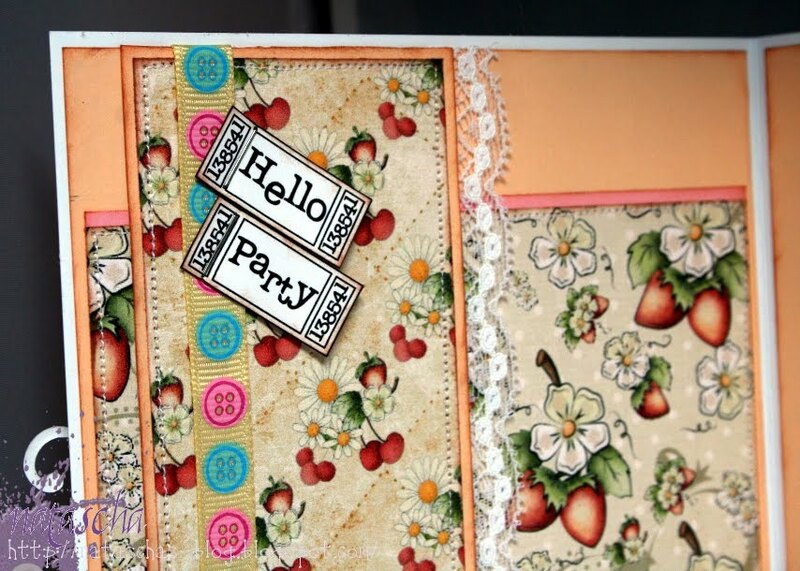 Fabby card this week too. Lovely details all over. Thanks for joining us at CRAFT this week with this really nice design. What a sweet and wonderful image. 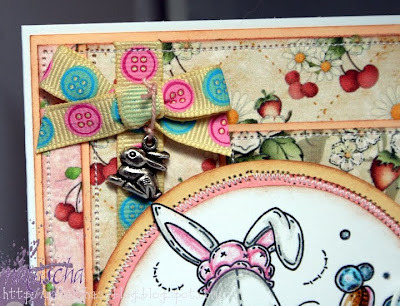 Love the little charm and all the gorgeous detail in this beautiful card. Thank you so much for playing along with us at Speedy the Cat's Challenge. It is such a pleasure to visit to see what you made for us. Good luck in the stamp drawing and I hope to see you next week. Absolutely beautiful card Natascha the papers you have used look stunning so does the design and image I love it. Very pretty and with such a lovely design!! Thanks for playing along with us this week with Speedy the Cat's Friends challenge! 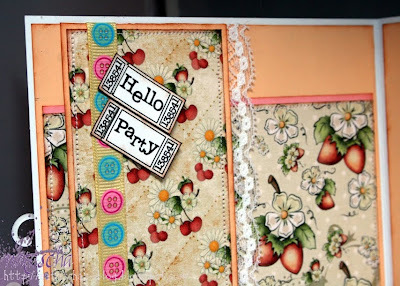 I just love how you've colored the image and the embellishments are amazing! Thanks for playing along with us at the Sweet Stop this week! 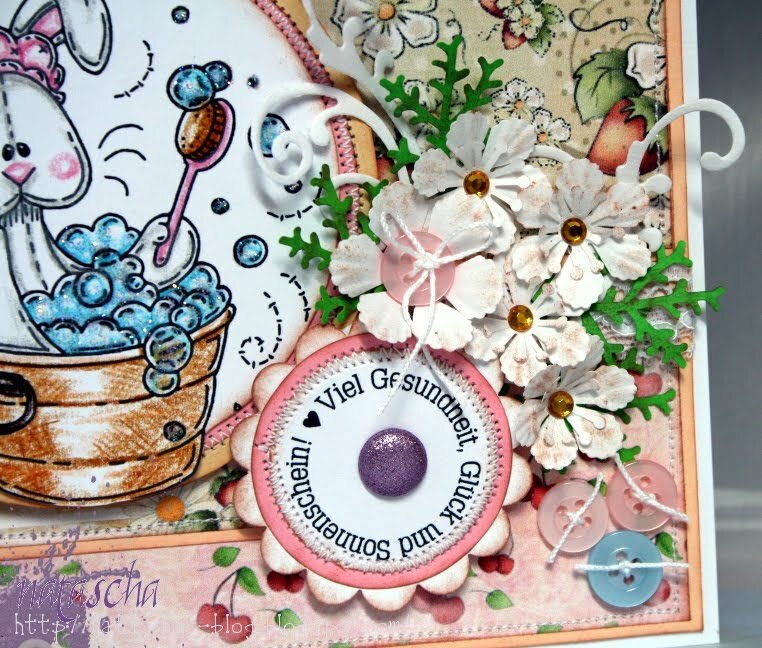 Fabulous card with lots of sweet details. Thanks for joining us this week at The Sweet Stop. Awwww, such a cute card! I love the charms! 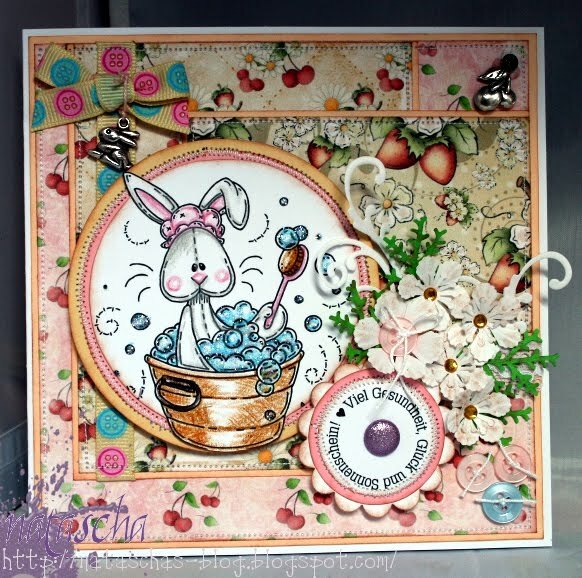 Oh Natascha... another fabulous creation. 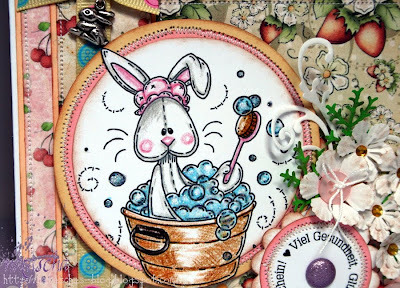 Love the cute image, the coloring... the embellishments are awesome! Thank you for playing along with us at The Sweet Stop again. What a brilliant project Natascha. Thank you so much for entering the Allsorts challenge with it and good luck! YOU PUT so much thought into your work! Its always stunning with intricate details. WOW!! lovely! 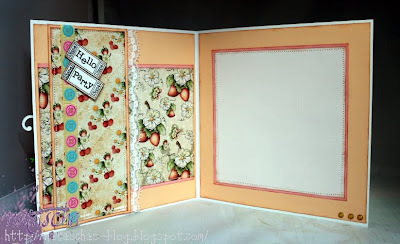 Pretty card. I love your colors and the charms are great. Love all the details you have used and the inside is so well done. 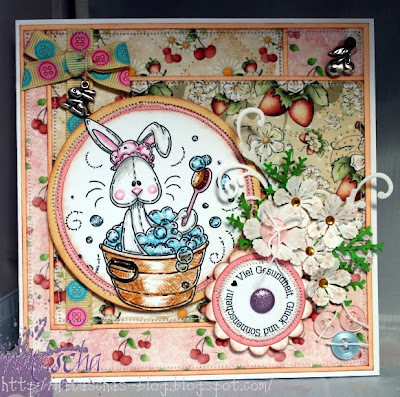 Thanks for joining in this week at Paper Sundaes! I stumbled here from google search. you have coloured your image and the whole thing is beautiful. There are no any single mistakes you done, It is also funny card.